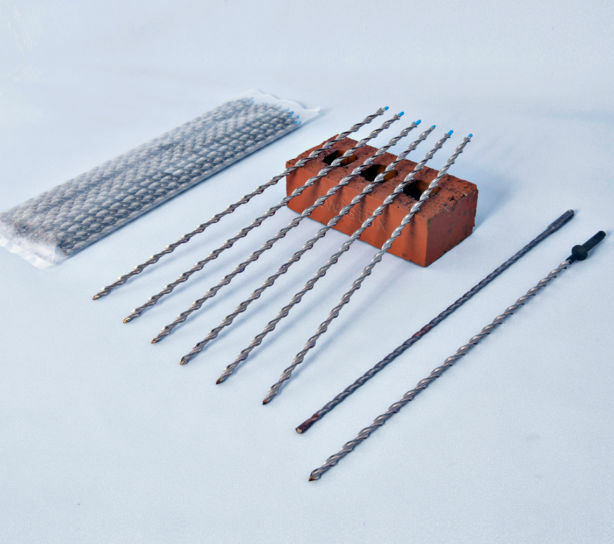 Helical tie bars are ideal for connecting multiple layers of brick or stone when reinforcing the separating leaves of a solid wall without the need for special grouts or mortars. 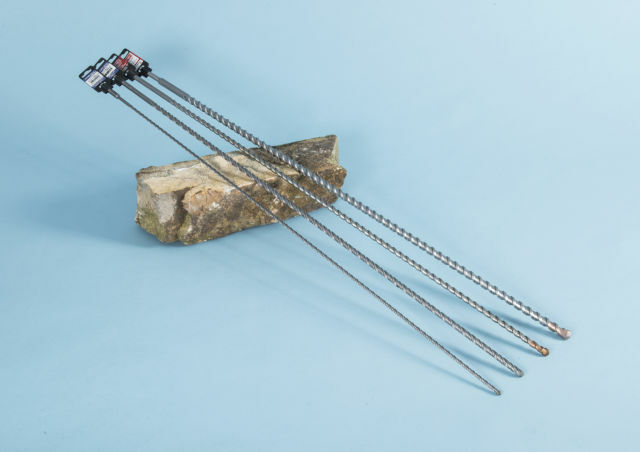 The patented stainless steel tie bars corkscrew into brick, block, concrete and masonry when driven into an undersized pilot bore to form a dry-fix mechanical connection. 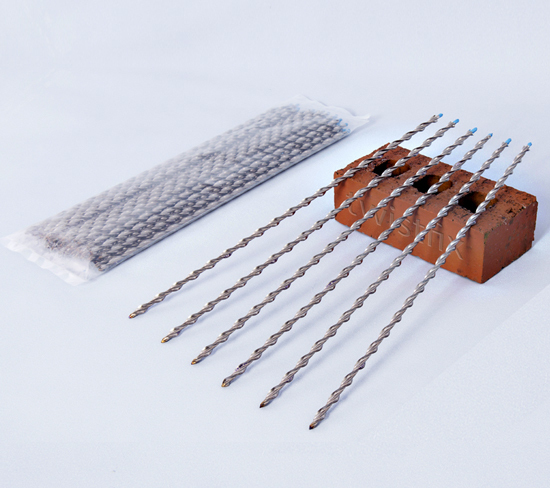 230mm walls - Use 180mm tie bars. 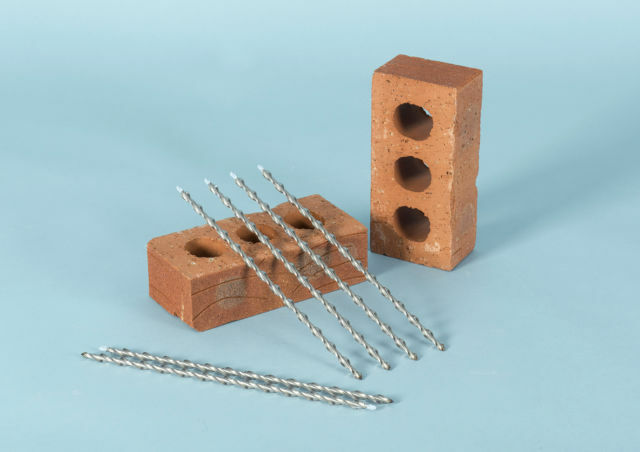 Why not try these reinforcing ties to pin up brick arches, anchor coping stones to parapet walls or to drive into concrete slabs before pouring a new concrete layer. 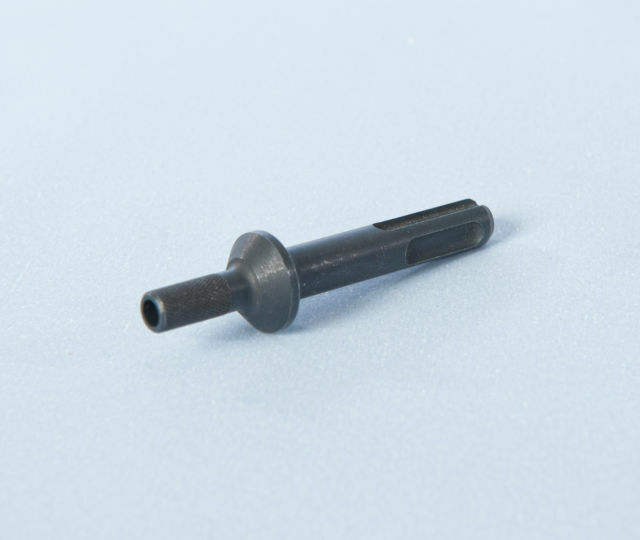 To fix helical tie bars remember to order an appropriately sized pilot drill bit and the unique SDS drive adaptor.